Earlier this week I shared my ‘ organised swap’ for Leadership, but we also have a ‘general swap’ where you design a card and make as many as you would like to get back from fellow swappers. Due to time constraints I was only able to make 20 but I was pleased with my design and I received some lovely swaps in return. 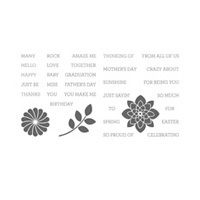 Again my theme was ‘Thank you’ ~ you can never have enough thank you cards in your stash! 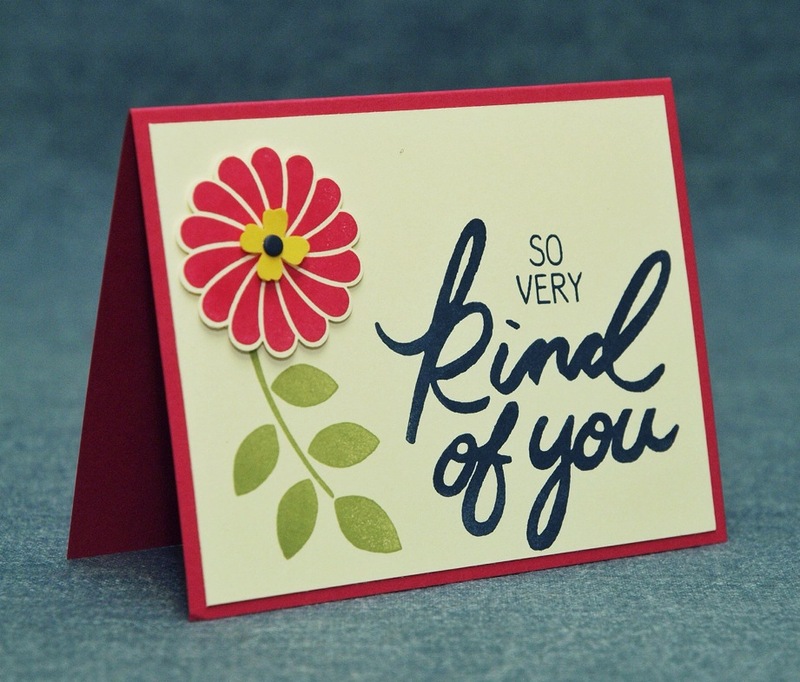 I love the bold colors in this card, it is a very quick and easy one to do. The base is in Melon Mambo, cut 8 1/2 x 5 1/2, scored at 4 1/4. Layer is Very Vanilla cut at 5 1/4 x 4. The leaf and flower come from ‘Crazy about You’ the leaf stamped directly on to the layer in Pear Pizzazz and the flower stamped with Melon Mambo ink onto a scrap of Very Vanilla card then punched out using the 1 3/4 scalloped circle punch and attached to the card with a stampin dimensional. A center punch from Daffodil Delight with the Itty Bitty Accent Pack (which seems to be appearing a lot in recent weeks!) and a Night of Navy candy dot finished it off. Hope you enjoyed seeing my swaps. If you’d like any of the supplies, to shop, or to get a catalog, please feel free to contact me, and if you’re thinking of joining Stampin’ Up! and my team I’d most definitely like to hear from you. 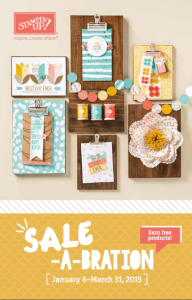 Sale-a-bration is a great time to join Stampin’ Up! ~ you get to choose $125 of product for $99 PLUS you can choose one of our kits or 2 sale-a-bration products for FREE.